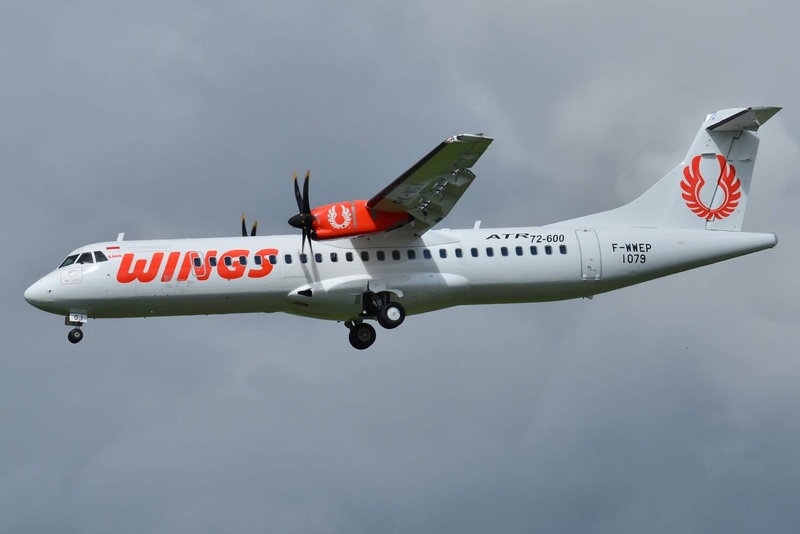 The National Transportation Safety Committee of Indonesia released its preliminary report earlier this week into an incident that occurred on 19th June this year that saw a Wings Air ATR72 land at a closed airport. The aircraft an ATR 72-600, registration PK-WHF of on Wings Air was performing a normal scheduled flight from Pontianak to Sintang, with thirty-two passengers, two cabin crew and two pilots onboard. The aircraft flew a normal routing and subsequently landed at an airport that had been closed for almost three months. It should have been landing at Tebelian airport but instead went to Susilo airport, in Sintang, West Kalimantan, Indonesia The National Transport Safety Committee report indicates that the flight crew contacted the Tebelian using the ‘Susilo Info’ callsign as they started their approach. They reported they were 84nm from Sintang and read through the planned arrival procedure. The flight information service officer confirmed the message and proceeded to give the pilots the latest updated weather reports. The aircraft and ground continued to talk to each other every five-minutes to landing and on finals, with the flight information service officer confirming that the runway was clear and available. Some two minutes after touching down, the crew radioed the flight information service officer to report they had landed, but the officer noticed that it had not landed at Tebelian airport, confirming the crew had, in fact, landed at the closed Susilo airport. The crew taxied to the closed airport's apron and then subsequently departed Susilo and landed without further incident at Tebelian airport. The preliminary report from the NTSC found that prior to the flight, the pilots were not briefed on the new airport, the airport visual guidance documentation used by the pilots contained information on Susilo airport that were valid from 9th March but the airport was closed on 26th April. While information on Tebelian was available on the AIP Supplement website, it was not made clear that other information on Susilo on the website was invalid. The report also details that both pilots had never flown to Tebelian airport before. The pilot in command had flown to the town of Sintang before, but that was three months earlier and at that time Susilo airport was still in operation. The report also detailed that the crossed bar marking that are usually applied to runways that are closed, or out of service had not yet been applied to Susilo's runway at the time of the incident. The NTSC issued the following safety recommendations, Wings Air to make sure pilots are always given the most current information before conducting flights, to ensure all documentation provided to crew is current, the Directorate General of Civil Aviation to ensure that only current information be provided on the AIP Supplement website and to make sure all airports comply with their certification requirements – particularly when they are being decommissioned. The crew of the Wings Air ATR are not the only ones to land at the wrong airport, there have been a number of crews touching down at the wrong airports, for various reasons, some have been able to take off again, others have not, here are just a few. 7 Jul 2016 A320 of Delta going to Rapid City actually went to Ellsworth Air Force base by mistake. 19 Jun 2014 VietJet Flight VJ8861 Landed at Cam Ranh airport, it was however headed for Lien Khuong Airport, over 60 miles away. 12 Jan 2014 Southwest 737-700 touched down at Taney County airport, which would have been fine, had it not been supposed to land at Branson airport. 20 Nov 2013 A Boeing Dreamlifter operated by Atlas Air lands at Colonel James Jabara airport instead of McConnell air force base in Wichita. 13 Oct 2012 Sriwijaya Air should have taken its passengers to Padang but instead, it took them to Tabing air force base. 7 Aug 2012 A Saab 340b of Silver Airways lands at Fairmont Municipal Airport but should have gone to Clarksburg, 10 miles away. 7 Sep 2011 Colgan Air Flight 3222 went to Southland Field but it should have been at Lake Charles. 29 Mar 2006 Eirjet 737 heading to Derry airport in Northern Ireland landed at former RAF base Ballykelly six miles away by mistake. 18 Dec 2005 A PIA 737 landed at the Faisal Base of the Pakistan Air Force (PAF) instead of Quaid-i-Azam International Airport. 14 Mar 2001 A TWA MD80 landed at Craig-Moffat Airport when it should have gone to Yampa Valley Airport in Colorado.